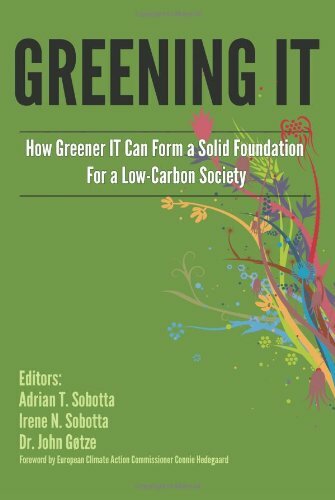 Greening IT by Adrian Thomas Sobotta, et al. by Adrian Thomas Sobotta, et al. IT industry can provide the technological solutions we need to optimise resource use, save energy and reduce greenhouse gas emissions. We call this Greening IT. This book looks into the great potential of greening society with IT - i.e. the potential of IT in transforming our societies into Low-Carbon societies. This book is about how essential nutrients and pollutants are transformed or accumulated as they move through the environment. It is about modeling the fate of pollutants in the environment, and generally setting the goals for pollution prevention. Environmental economics is the study of interactions between human economic activity and the natural environment. This book provides a rigorous introduction to environmental economics designed for advanced undergraduates and masters-degree students.